Hey Alexa, Wanna Swap Closets? 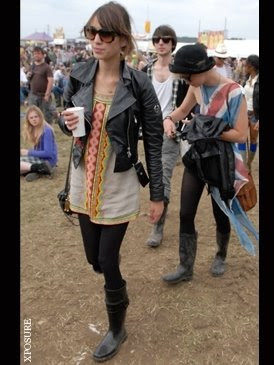 This is sorta random, but I just love Alexa Chung’s style. She’s not in any super inspiring summery/spring clothes in these pictures, but it might still be a little chilly where you are (yes, even in Houston it was like 50 degrees today!) and maybe you’ll get some layering ideas. Anyway, I love that tomboy look, kinda messy, totally natural, 100 % cool. She’s an ‘it’ girl, and she rocks. I love the way the English dress, that London style. I had the best time back in December trying to memorize all the amazing outfits I saw at every single metro station in London. Goal for tomorrow, to put together an outfit I’ve never worn before mixing and matching random messy things from my closet….dare you to too. Wanna get her look? If you’re in London, go to Portobello Market in London, and thrift shop for vintage pieces! Mix, match, old new, masculine, feminine, layers upon layers of jewels (fake/real) = great look.